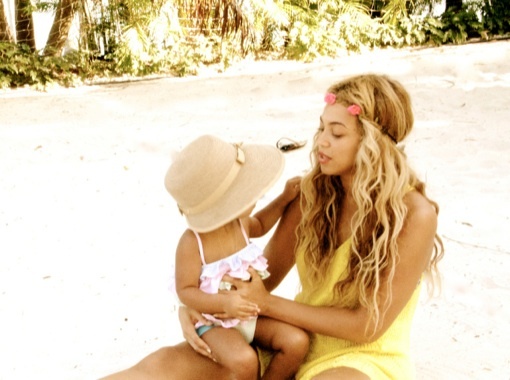 Beyonce shared above picture on her Tumblr. 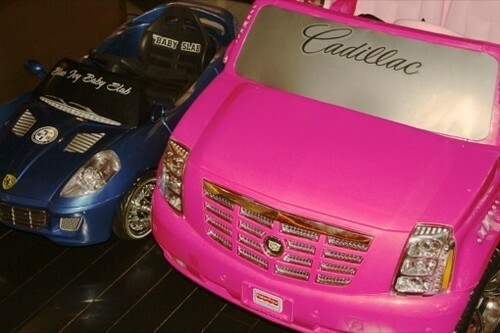 The two mini luxury cars - a Cadillac and Ferrari are for her daughter - Blue Ivy. The blue Ferrari is personalized with "Blue Ivy Baby Slab" on the front windshield and at the black interior seats.